Hop on board and kick your hen party off in style with a ‘Champagne and Strawberry Reception’ (see details below) before we set course for a cruise to remember. 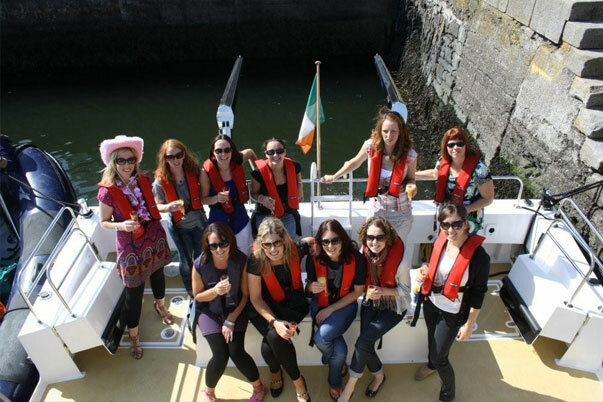 There is no better way to get your hen party started than cruising out of Kinsale’s spectacular harbour, champagne in hand, relaxing to the sounds of seagulls chattering while planning your night ahead. Allow us to guide you past the historic sites of Charles Fort and James Fort and into the open waters of Kinsale’s outer harbour. Keep an eye out for the many Dolphins which frequent the Kinsale coastline and have cameras at the ready to snap the truly spectacular sight of a dolphin breaching the water. Sit back, relax and enjoy a truly unique dining experience as we anchor off the beautiful Sandy Cove Island. Bring your own picnic or choose our ‘Add a Touch of Luxury Package’ (see details below). Soak up the sun, enjoy each other’s company, and chill out before the big night ahead. As we cruise home to the harbour of kinsale, watch out for the resident seals that patrol the tranquil waters, while enjoying your last few cruising moments in the nautical atmosphere of this ancient harbour. Once back on dry land it’s time to hit Kinsale’s winding streets where your party continues amongst the many bars, restaurants and nightclubs which this vibrant hen party destination has to offer. For an extra €15 per person choose our luxury package which includes a gourmet hamper. The Hen party package cruise lasts 2 hours. Price per charter is €600. This price is based on a party of 12 people. 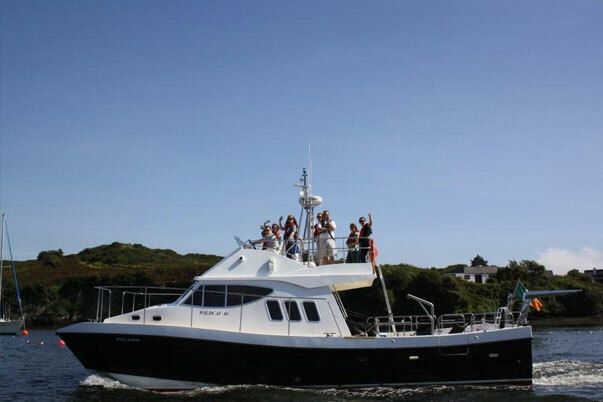 If group is larger please contact us for further pricing and other charter options. If group is less than 12 people, full boat price still applies. A deposit of 50% is required on booking. We reserve the right to refuse to allow any individual to board the boat under the influence of excess alcohol.